The Belleek pitcher is the 2010 Heritage Piece; it is a limited edition of 1000. 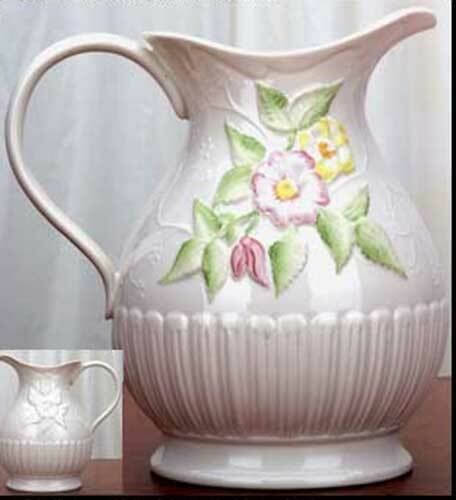 The Belleek wild rose pitcher is a flowered design that features an embossed motif on both sides. The Belleek pitcher stands 7 1/2" tall and holds 82 ounces. The Irish pitcher is made of fine china and is hand-painted and hand crafted in Belleek, Ireland. The Belleek flowered pitcher is gift boxed, complements of The Irish Gift House.